Location, very clean, friendly staff, security, apartment Facilities. Location was great. Amenities were as described/advertised. one side of the king bid was not firm enough. it looks like the matrix was giving up. maybe it was a bit old. The location and the parking were the major reason I picked the place; plus the vicinity to the One and Only for our dinner at Nobu. Lovely spacious self-contained apartment in perfect location. Right on the Cape Town marina so only a 5-7 minute walk to the waterfront. Very secure building so felt very safe. Amazing location, clean room, good amenities, good security. Lock in a great price for Lawhill Luxury Apartments - V & A Waterfront – rated 8.9 by recent guests! 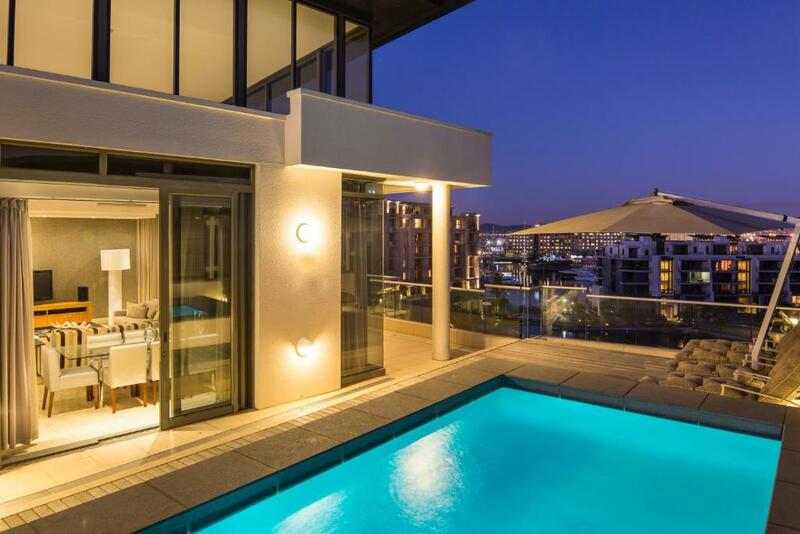 Lawhill Luxury Apartments - V & A Waterfront This rating is a reflection of how the property compares to the industry standard when it comes to price, facilities and services available. It's based on a self-evaluation by the property. Use this rating to help choose your stay! One of our best sellers in Cape Town! Lawhill Luxury Apartments - V & A Waterfront on Lawhill offers luxurious apartments directly on the V&A Waterfront, 1,650 feet from Cape Quarter Shopping Area. It has an outdoor pool and free on-site car parking. 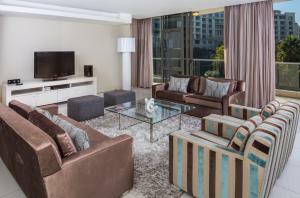 Lawhill Luxury Apartments - V & A Waterfront on Lawhill are equipped with LCD TVs. Some offer an open-air dining area on a private balcony. 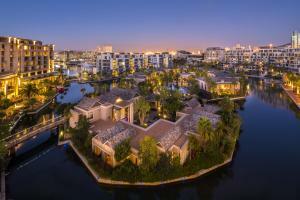 Lawhill Luxury Apartments - V & A Waterfront on Lawhill is in a prime location for enjoying the bars and restaurants of the Marina. The apartments feature self-catering facilities, and there is a supermarket 5 minutes’ walk away. 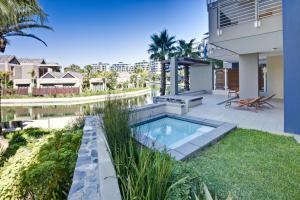 Lawhill Luxury Apartments - V & A Waterfront on Lawhill provides an on-site gym and swimming pool. The reception desk can help arrange local tours to sites including Robben Island and Table Mountain. 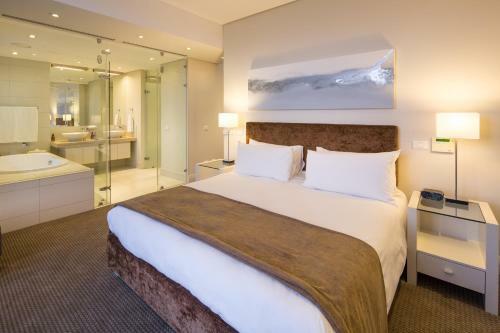 Cape Town International Airport is 13 mi from Lawhill Luxury Apartments - V & A Waterfront. A shuttle service is available upon request. The CTICC (Cape Town International Convention Center) is a 5-minute drive away. V&A Waterfront is a great choice for travelers interested in shopping, restaurants and wine. 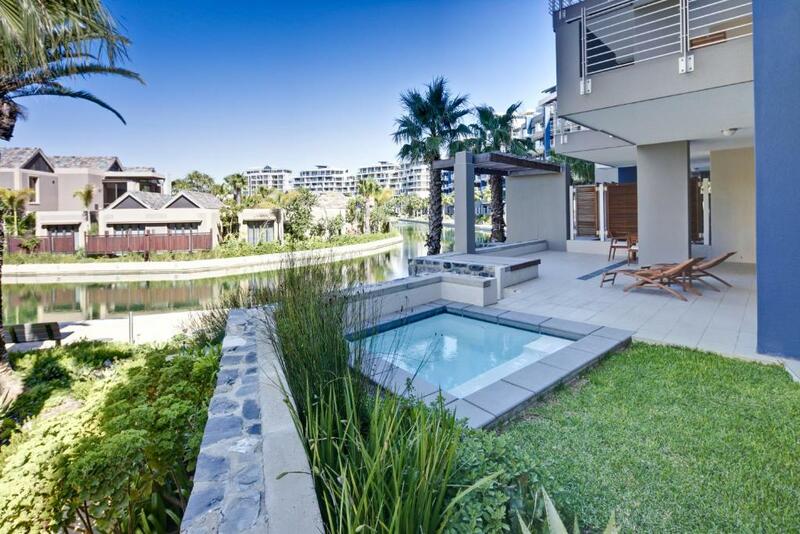 This property also has one of the top-rated locations in Cape Town! Guests are happier about it compared to other properties in the area. When would you like to stay at Lawhill Luxury Apartments - V & A Waterfront? With views of the marina, canal and the One & Only Island, this one-bedroom apartment features a fully equipped kitchen, dining area, open plan lounge and complimentary tea and coffee facilities. It is air conditioned and has free wireless internet access. Daily housekeeping is also offered. With views of the marina, canal and the One & Only Island, this 2-bedroom apartment features a balcony or patio. It features a fully equipped kitchen, dining area, air-conditioning and free wireless internet access. Featuring a balcony with views of the marina, canal and Island, this apartment features a fully equipped kitchen, dining area, daily housekeeping, air conditioning and wireless internet access. With views of the marina yacht basin, canal and Island, these 3-bedroom apartment feature a fully equipped kitchen, pool, direct elevator access, dining area, air conditioning, wireless internet access and daily housekeeping. With views of the canal, this accommodations is located on the ground floor. It features a fully equipped kitchen, dining area, air-conditioning and free wireless internet access. Daily housekeeping is also included and guests can access the lounge area leading onto a spacious patio. 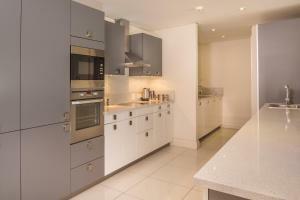 With views of the canal, this 2-bedroom apartment is located on the ground floor with private plunge pool. It features a fully equipped kitchen, dining area and open plan lounge, daily servicing, air conditioning, wireless internet access. 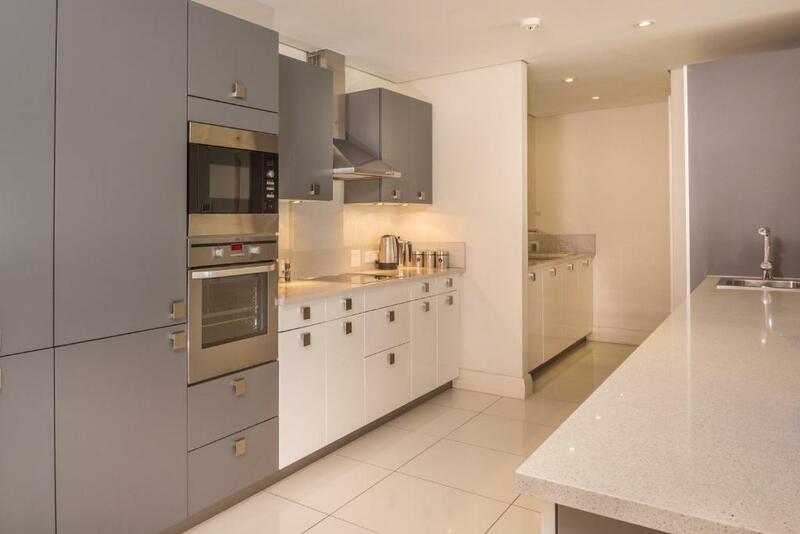 With views of the canal, this apartment features a fully equipped kitchen and dining area. Guests can access a large balcony or patio. Wireless internet access, air-conditioning and daily housekeeping are also included. Voted Africa & South Africa's Leading Serviced Apartments” in the 2017 World Travel Awards – recognised globally as the most prestigious, comprehensive, and sought after awards programme in the travel and tourism industry – Lawhill Luxury Apartments is one of the most ideal places to stay in the Mother City. Guests at Lawhill can enjoy elegant accommodation with a real “home-away-from-home” feel, while enjoying complete privacy. Large, exclusive balconies and patios afford breathtaking views of the marina, the canal, and the adjacent One&Only Hotel where Lawhill guests have direct access to the hotel’s facilities, including its award-winning spa and restaurants, while some of Cape Town’s finest nightspots and restaurants are within easy walking distance. A dedicated reception desk, concierge service, daily housekeeping, and 24-hour security ensure that guests are left wanting for nothing. Beautiful surrounds, the ultimate in luxury amenities, and close to the hustle and bustle of the city, Lawhill Luxury Apartments is simply the ultimate place to stay in Cape Town. Lawhill Luxury Apartments in the heart of the V&A Waterfront, with Table Mountain in the background and the buzzing Waterfront as your playground. 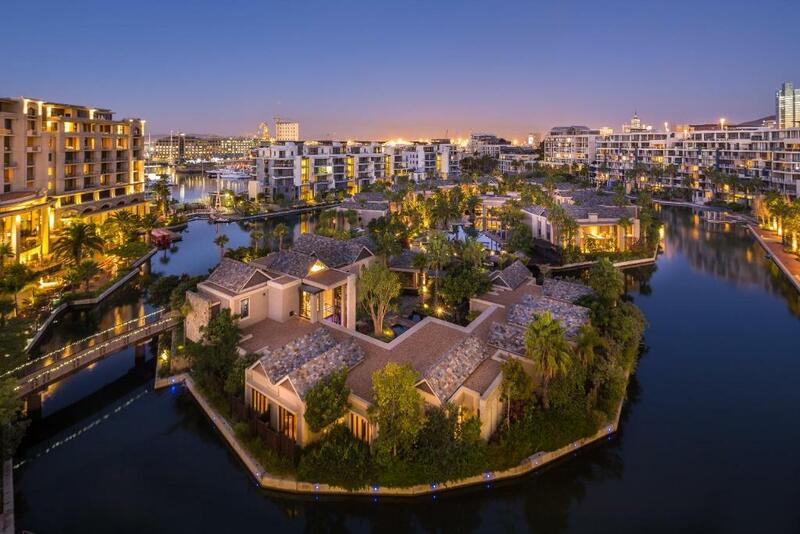 Overlooking Cape Town’s V&A Waterfront marina, Lawhill offers travellers a taste of luxury living at the hottest address in Cape Town. It is the ideal base from which to explore the Mother City and all it has to offer, with easy access to the Waterfront’s shopping malls, the Aqurium, and other exciting entertainment venues. Area Info – This neighborhood is a great choice for travelers interested in shopping, restaurants and wine – Check location Excellent location – show map Guests loved walking around the neighborhood! House Rules Lawhill Luxury Apartments - V & A Waterfront takes special requests – add in the next step! A ZAR2000 damage deposit is required on arrival (around USD142.25). This deposit will be fully refunded at check-out, as long as there isn't any damage to the property. Lawhill Luxury Apartments - V &amp; A Waterfront accepts these cards and reserves the right to temporarily hold an amount prior to arrival. Lawhill Luxury Apartments - V & A Waterfront accepts these cards and reserves the right to temporarily hold an amount prior to arrival. A security deposit will be reserved to guests' credit card upon arrival. This deposit will be refunded after assessing the rooms after check-out. There is a complimentary housekeeping service for all apartments 7 days a week. Please note that the hotel provides a transportation service (charges apply). Guests are requested to inform the property in advance if they would like to use this service. Contact details can be found in the booking confirmation. A damage deposit of ZAR 2000 is required on arrival. That's about 142.25USD. You should be reimbursed on check-out. Please inform Lawhill Luxury Apartments - V & A Waterfront of your expected arrival time in advance. You can use the Special Requests box when booking, or contact the property directly using the contact details in your confirmation. The extra blanket in our room wasn’t clean, but the staff took care of it right away. Amazing location, very friendly staff! Very disapointing that we asked the house cleaning manager IN PERSON on our arrival to please bring a bed for my third child and this was never delivered. My child slept on the couch with blankest we used form the beds. The security at the gate doesn’t allow the rubber to pickup, I was told to walk all the way to the main entrance! I’ve requested to check in early at 10:00, but On arrival at 12:15 still the room was not ready! The place is private, nice and comfortable! Apartment was very water conscious. We were only there for one night, so would have been nice to be able to do some washing and have a bath. The hot water had not been turned on, so we weren’t able to even have a shower! The fittings on the door were damaged so we had to listed to the squeal of the howling wind. Lots of works going on during the day, so also had to deal with the sound of hammering for most of the day. Great location right by the marina and walking distance to the V&A waterfront. Apartment was very nice and very secure. For the price you would expect some form of filter coffee/ coffee pods to be available and more than one bottle of water for 4 persons. It is the small things that make the difference. Excellent location & view. Apartment well furnished, clean & tidy. Easy access to the Waterfront, lovely views, roomy apartment. Nobody told us about the noisy building site across the road. It spoilt our stay. After complaints, we were offered an alternative at an inconvenient location. Deeply disappointed.